With the influx of data protection regulations like GDPR and California's consumer privacy act, it's an understatement that data privacy, protection, and regulatory compliance have been a key priority over the past 2 years. But how do you know if you are adequately protecting your's and your consumer's data? We have entered a new era of data protection for SaaS and cloud applications. From the application stack all the way out to the perimeter, security is at the forefront for IT teams and leaders. 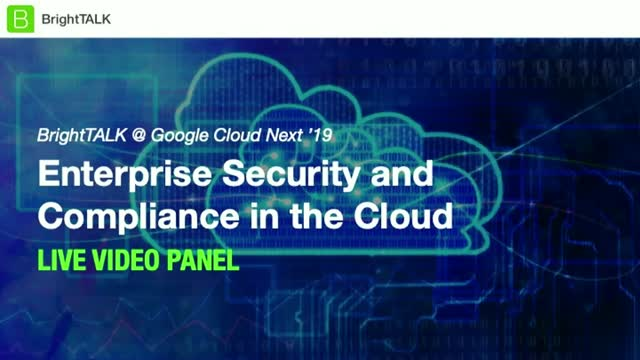 Join this live interview with experts from CoreSite and Google Cloud Next as they discuss the key drivers of digital transformation in mission critical data centers. - What's your definition of a mission critical data center and what makes them so complex? - How have you seen the data center industry and colocation needs shift and evolve over the past 5-10 years? - Are there any specific industries where you've seen the most growth/change/adoption of interconnection and cloud data centers? - We're hearing more and more about edge computing and micro-data centers: what impact, if any, do you think this will have on data center and cloud providers? On the consumers? - Security, connectivity, reliability - there's so much that data center managers, IT teams and executive leaders need to consider. What are your top 3-5 key takeaways for those personas and how they can prepare for what's ahead in the data center and cloud industries? The digital economy has brought on a massive influx of data, connected devices, and security concerns for cloud and data center providers. When it comes to protecting your data and connecting your apps, there is no one-size-fits-all approach. - Multi-cloud, hybrid cloud, cloud-native: why all the hype and what does it mean for your IT infrastructure?